Signed l.l. [part a], in Japanese, ink [incised on block] "Ichijusai Kunisada ga [picture by Ichijusai Kunisada]". Not dated. Signed l.r. 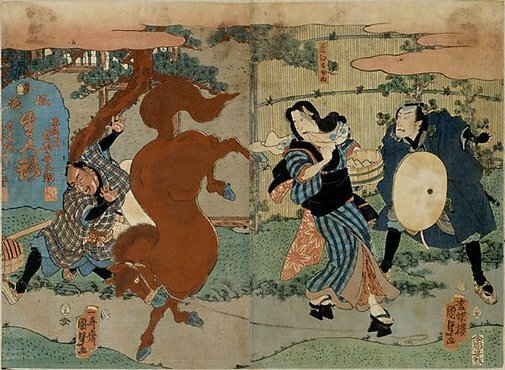 [part b], in Japanese, ink [incised on block] "Kôchôrô Kunisada ga [picture by Kôchôrô Kunisada]. Not dated.